Here is a map shows territory of Belarus. detailed map of Begoml' calibrated presented. interesting map of Zateklyas'ye this. map of Zakolev'ye for gps. topographic map of Zagolov'ye displayed. actual map of Zaboyen'ye 1 cm to 1 km here. detailed map of Vzmost'ye calibrated displayed. topographic map of Volovaya Gora with gps calibration free download. detailed map of Volcha 1 cm to 1 km this. detailed map of Uskrom'ye calibrated free download. actual map of Ulles'ye with gps calibration presented. free map of Ugol Tretiy calibrated for you. free map of Stvol'no и OziExplorer calibration free download. topographic map of Sloboda 1 cm to 1 km for Garmin. topographic map of Shalagiry for gps. interesting map of Savskiy Bor и OziExplorer calibration for gps. detailed map of Rozhno with gps calibration this. 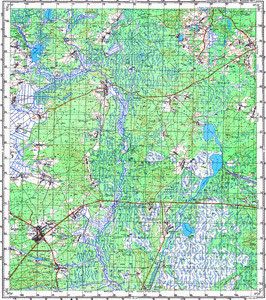 free map of Pyshno 1 cm to 1 km for gps.